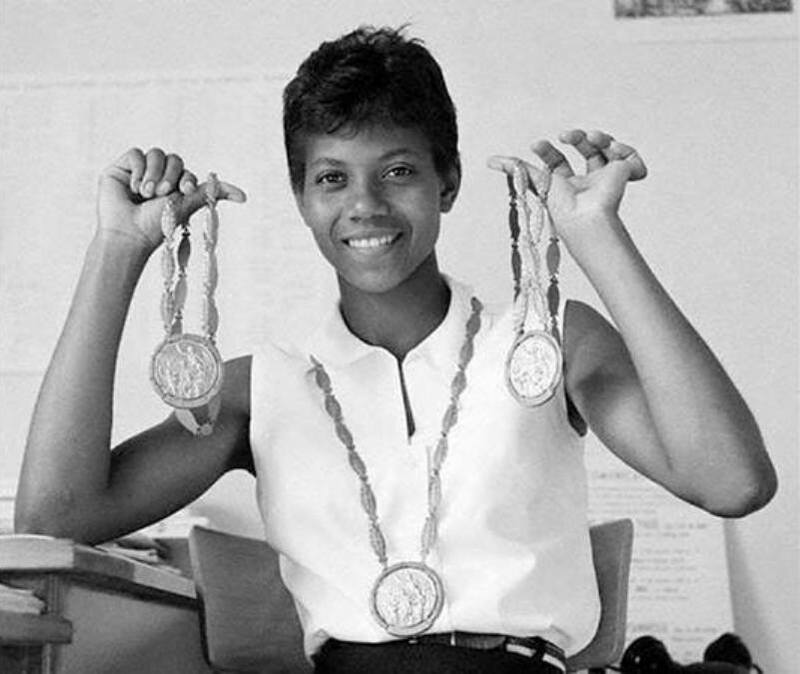 Wilma Rudolph was the 20th of 22 children. As a young child she was paralyzed by polio, and contracted both scarlet fever and double pneumonia. Many doctors felt she would never walk again, yet she always believed otherwise. By the time she was 12, she had regained her ability to walk and took up athletics. Eight years later she was an Olympic champion. Rudolph made her Olympic debut at the 1956 Melbourne Games. Aged just 16, she was a member of the American 4x100m relay team that claimed a bronze medal. The 1960 Rome Games provided the defining moments of Rudolph’s extraordinary life story. She stormed to gold in the 100m, 200m and 4x100m relay, breaking three world records in the process. She was dubbed “The Black Gazelle” by the European press for her speed, beauty and grace. This entry was posted in Uncategorized and tagged African fashion, flashback fridays, Liberian Fashion, Wilma Rudolph, Zabba Designs. Bookmark the permalink.